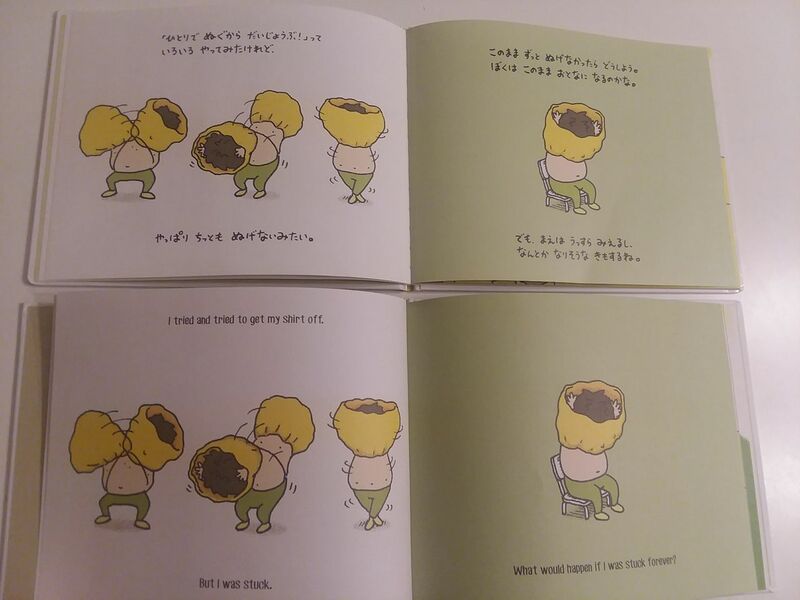 I love Shinsuke Yoshitake's picture books. Maybe I enjoy reading them more than my kids. I found the English version of 'Mou Nugenai' at my local library! 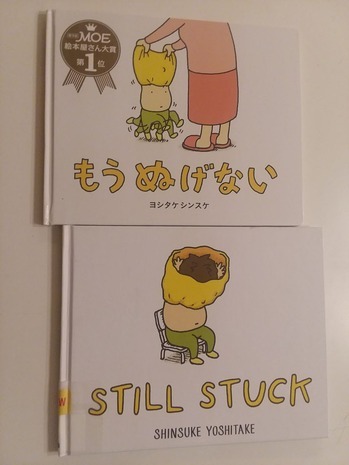 I feel like the meaning is slightly different between the Japanese and English titles, but they're both titles that leave a lasting impression. So I compared the English and Japanese versions. The sound of the door being opened in Japanese is 'garagaragara,' but in the English version, it's "knock knock." And also, in the Japanese version, the main character boy is completely naked at times, but in the English version, the bottom half of the boy's body is hidden with a towel or soap bubbles. 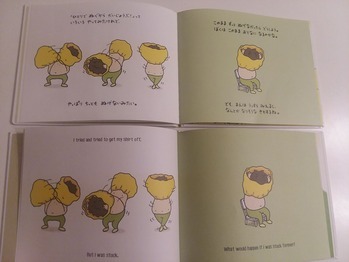 In the US, illustration even a child completely naked in picture books and animations isn't that common or maybe it's not thought to be appropriate. When you compare Japanese and English picture books, you get to learn about the country's culture! So fascinating!